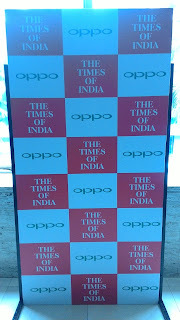 It's Time to Freshen up your face as well as Talent and to show off your multi skills to the global audience. 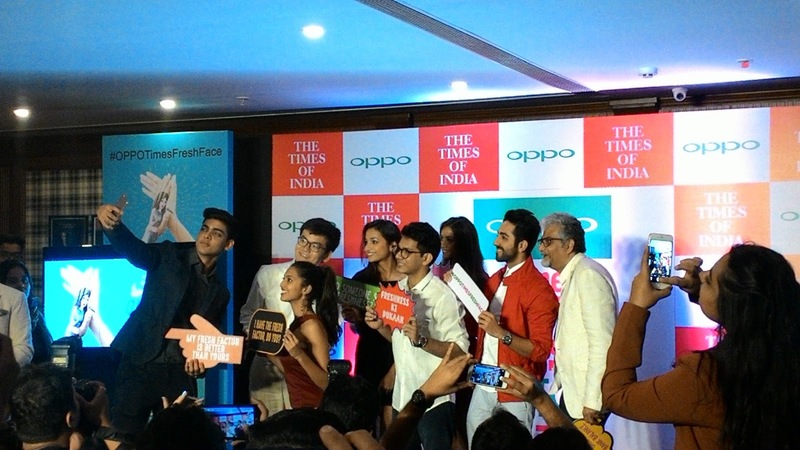 The OPPO Times Fresh Face launched the 10th edition of the most coveted personality and talent hunt across colleges in India. Fresh Factor – the new concept to celebrate a decade of allowing collegians to showcase their unique talents, the desirous candidates will not only have to make heads turn with their charming and spunky personalities but will also be required to present their talents in innovative ways. 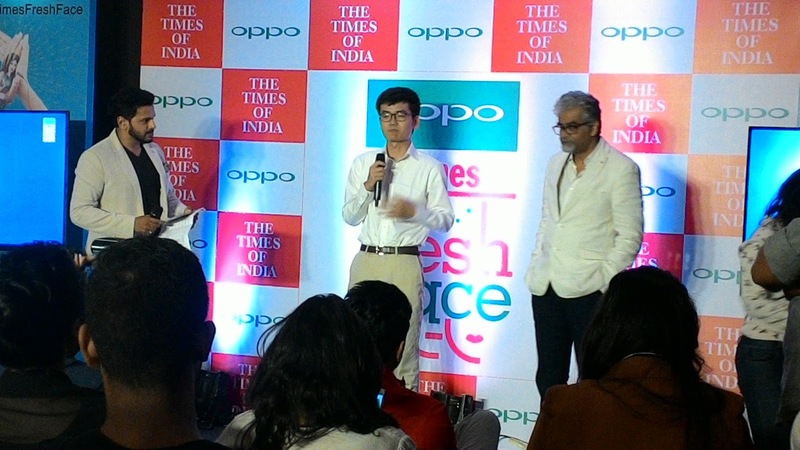 After an initial briefing by Sanjeev Bhargava, Brand Director, The Times of India and Will Yang, Brand Director, OPPO India, on how the year’s competition will be held in phases over 11 cities, commencing from Nagpur with several rounds of auditions across colleges and other venues across the country culminating in the grand finale to be hosted in Mumbai, the event kicked off with some scintillating and mesmerizing performances by the previous years’ winners. Another wow factor of the launch event was the presence of the extremely talented actor and singer, Ayushmann Khurrana. 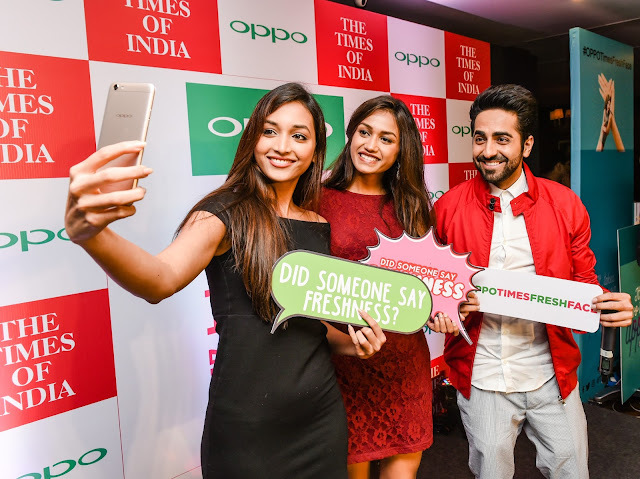 Times Fresh Face reiterates their commitment to share the same desire to help the youth be innovative, chase for their young dreams and create great memories. 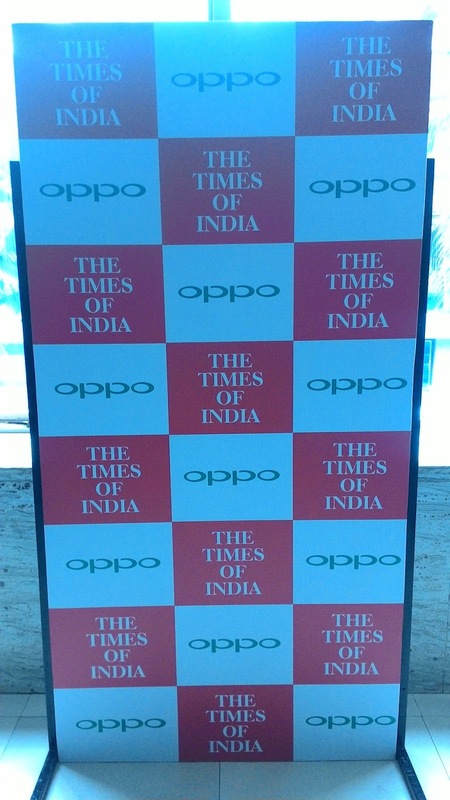 The culture of Oppo lies in its commitment to working with its fans to develop and deliver the best products possible, continually striving to impress and capture young hearts with elegant trendsetting design, excellent user experience, customer-centered product development, quality service, and most importantly an attitude of the relentless pursuit for perfection.